At the end of August I travelled to Copenhagen and Malmö to attend The Conference – a five day extravaganza of workshops, talks and excursions all hosted by Media Evolution. The title of the event was ‘Power, Disruption and Lies’, which propelled a dramatic deep dive into social and antisocial behaviours around media and technology. The photo above is of the wonderful Ruth Daniels of Un-Convention. 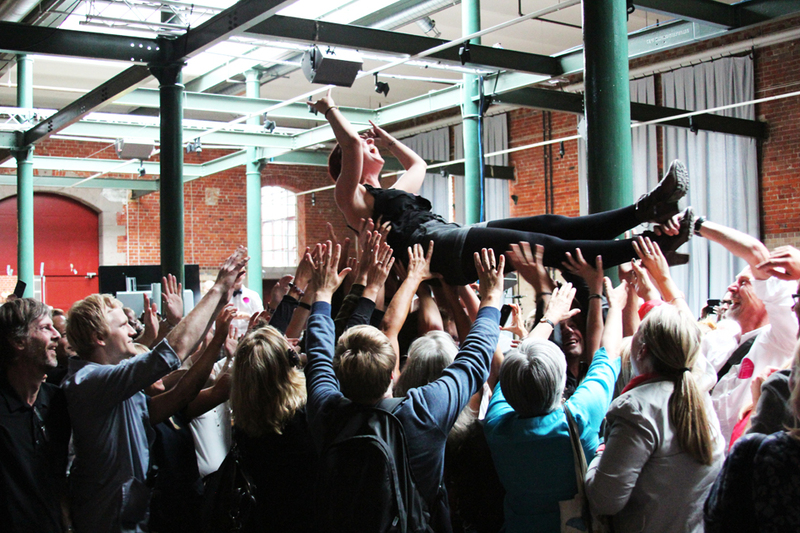 She made the most of the rapturous conference crowd by executing her first ever stage dive. As you can see, she pulled it off in style. 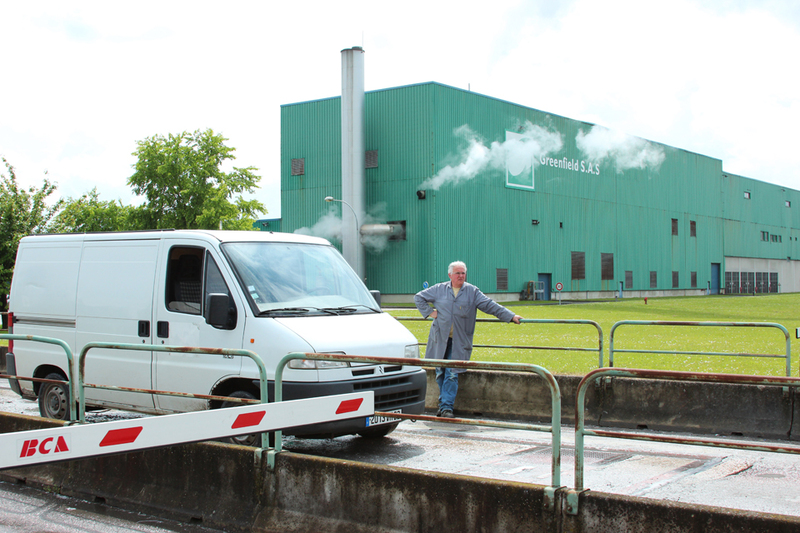 At the end of May I was invited to join a group of designers on a tour of a pulp and paper mill in France, owned by paper manufacturer Arjowiggins. Excited to learn more about another type of material manufacturing, I went along to document the visit for The Great Recovery Project. It was a fascinating couple of days getting an insider view of how recycled paper is made. We witnessed every step for the process, from the moment the post-consumer waste arrives at the pulp factory, to the point where the freshly recycled paper is packaged up and piled high, ready to ship off the UK and around Europe. You read more about the experience and see my photographs over on The Great Recovery site, where I wrote a blog post about the tour. The photographs are particularly interesting as I got a rare permission to photograph inside both factories, which a visitor has never been allowed to do before. I also produced some accompanying interviews, with insights from both the visiting designers and our hosts, on the importance of learning about materials. You can read Siôn Whellens’ account of the trip on the Calverts’ website. It is thanks to Siôn, who brought everyone together, that we all got to learn more about paper manufacturing. Thanks must also go to Julian Long and Angela DeVorchik of Arjowiggins Graphic who were our wonderful hosts. After seven months travelling around the UK documenting The Great Recovery project for the RSA and the TSB, then another month distilling all the collected content into a beautiful document, I’m delighted to say The Great Recovery report has been published. All in all it has been a fascinating process, I’ve learned so much about manufacturing and design while working on this project and I have loved visiting every factory. It’s quite thrilling to see all my photographs, interviews and writing on the designer’s role in the circular economy brought together into such a good looking publication. Thomas Matthews did a fantastic job on the report layout design. 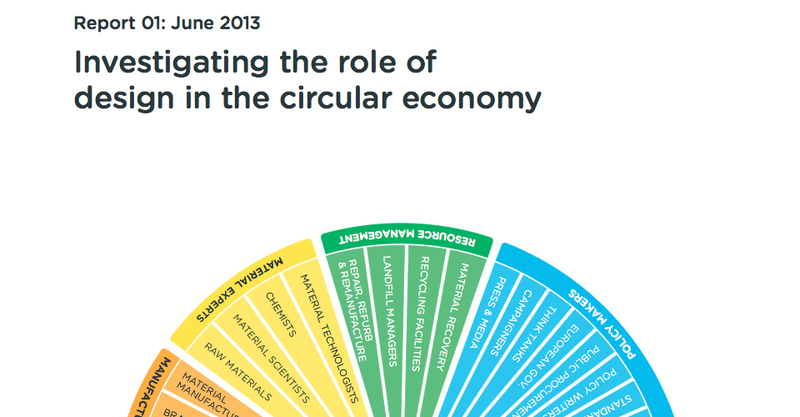 On June 4th, project directors Sophie Thomas and Nat Hunter launched the report at a reception in Parliament hosted by the APDIG, in conjunction with both the Associate Parliamentary Sustainable Resource Group and the Associate Parliamentary Manufacturing Group. At the end of April I saw a tweet from Jeremy Till, now head of Central St Martins, that was essentially a cry for creative help. 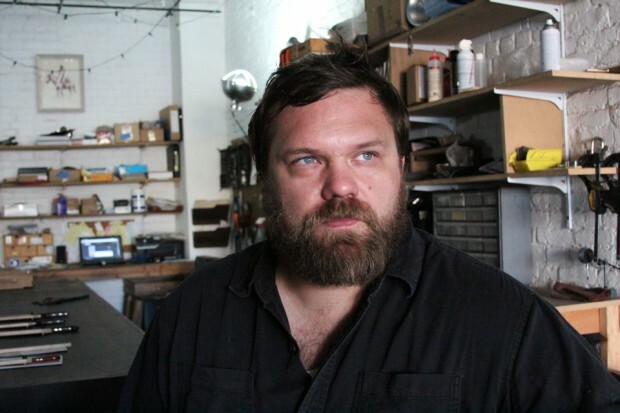 He needed a designer and curator for an exhibition about his SCIBE (Scarcity and Creativity In The Built Environment) research project. The brief was challenging: the original curator had pulled out at the last minute due to ill health and suddenly there was only four weeks to produce a show about a three year research project. It sounded like just the kind of crazy job I like. Sensibly Jeremy decided this wasn’t a job for one person and riding to the rescue alongside me came the amazing Crystal Bennes, curator, writer, chef and wonder woman. Crystal and I made quite a team and right from the start got on like the proverbial house on fire. 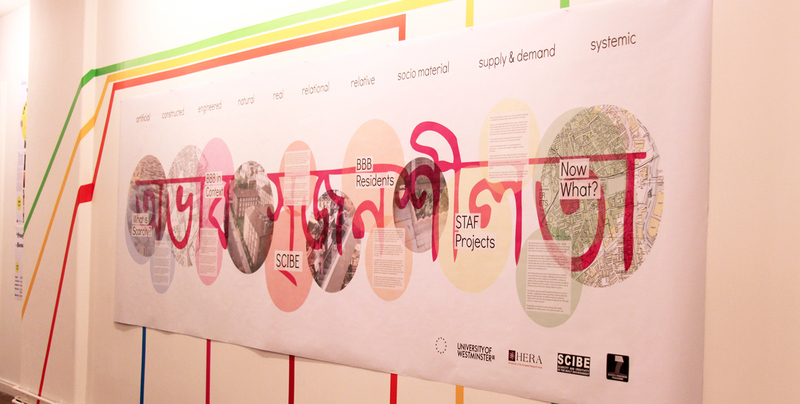 Our first idea was that this exhibition, which was to be located in Bromley-by-Bow, should be a street festival involving the local Bangladeshi community that had been part of the SCIBE community engagement. However after spending two of the four weeks trying and failing to get permission from Tower Hamlets to put on this ‘Scarcity Festival’, we threw in the towel on that idea. In the end we plumped for the first choice venue, it being the only choice at this stage and made with the most of what we had, in the spirit of the assignment. Along the way we had great help from SCIBE team members Jon Goodbun, Deljana Iossifova and Dougald Hine, as well from Flora Bowden of the Seed Foundation. The result was the Sightlines Exhibition in the Mayor’s Parlour in Bromley-by-Bow. You can see images of the exhibition read more about here on its design page. 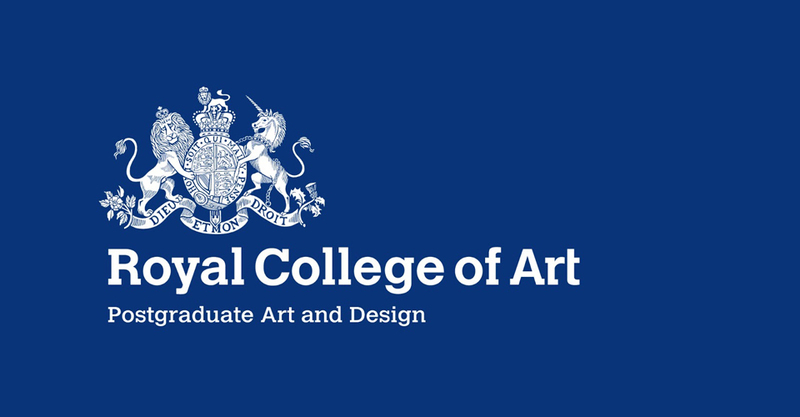 In October 2012 I started working with the co-directors of design at the RSA , Sophie Thomas and Nat Hunter, on The Great Recovery project as a design observer. 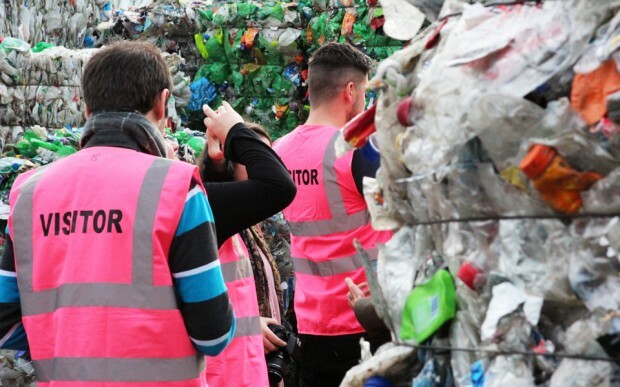 This involved documenting workshops and visits to material recovery centres around the UK. These events brought designers, manufacturers and policy makers together to explore issues, investigate innovation gaps and incubate new partnerships in the circular economy. It has been a fascinating experience all round, where we’ve learned so much about the materials economy and the systems design involved in recycling. We visited some incredible places, a tin mine in Cornwall, a plastic bottle recycling factory, an e-waste facility, and even the Caterpillar Remanufacturing plant in Shrewesbury where we watched engines being repurposed to the quality of brand new engines. My role involved building up a body of documentary content for the project using photography, process observation and participant interviews. 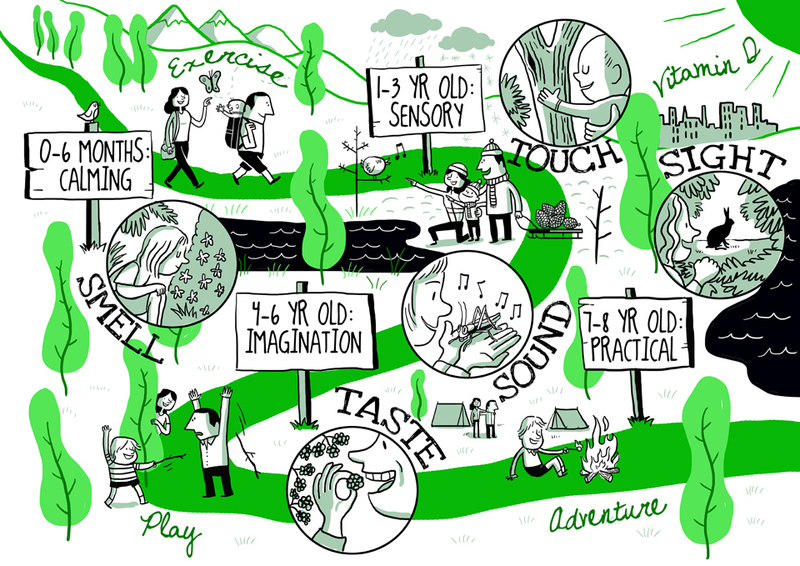 I was then to distill this content into the Great Recovery report, working in collaboration with Sophie Thomas. In October 2012 I opened the Hive Mind Collective in Westbourne Studios in West London. 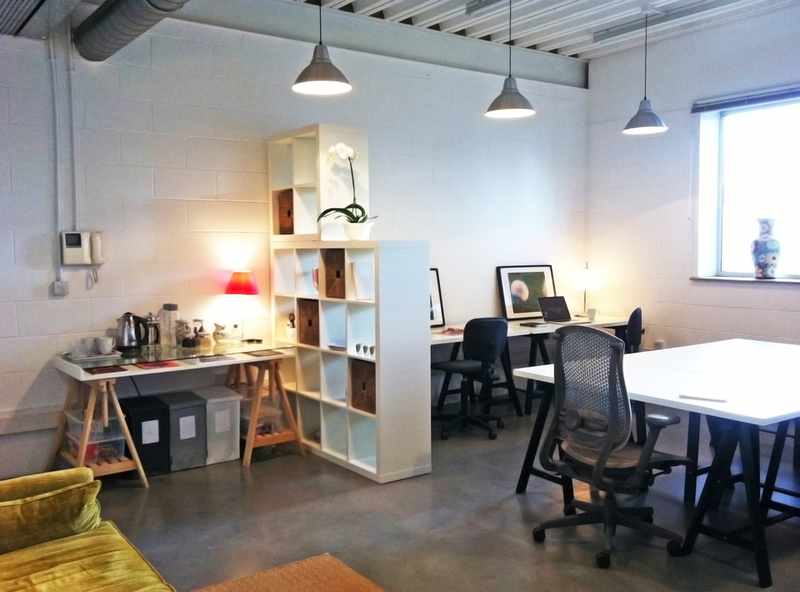 For a long time I had wanted to create a shared studio space with other creatives and suddenly I had the chance. After working a home for some years (too isolating) and then in co-working spaces in central London for several more years (too distracting) I was looking for the right balance between good company, and opportunities for collaboration, and a peaceful space where I could concentrate on my work and not always have to be moving around every day. There is a certain focus and calm that comes with having your own desk space I find. Also I think there is an optimum number of people to share a space with. I found working in Hub Westminster just too much with dozens of people bustling around. Under ten seems comfortable to me. We have 8 desks in the studio, but due to everyone’s different schedules, we are 4 to 5 people most days. In August 2012 I went to the Burning Man festival in the Nevada desert for the first time. It is hard to find the words to describe the extraordinary experience that spending seven days in the dust was, but I know that my time there was absolutely made by the fact I was in the Heroes & Super Villains camp. Surviving in the desert can be really challenging, but thankfully this awesome, kind and loving group of people were long time burners and knew exactly what they were doing. In the run up to arriving on the Playa I was put in charge of the camp’s online experience with my friend and digital guru Lea Simpson. 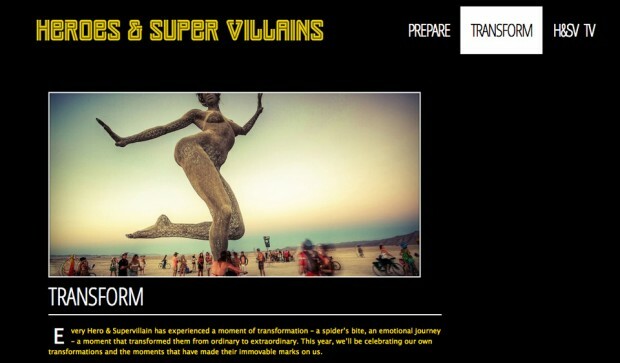 Together we designed a site www.heroesandsupervillains.com that explored the concept of transformation, specifically the moment when a Super hero/villain becomes their alter ego. We asked each member of the camp to make a short film about their transformational experience which we collated together on H&SV TV. In this way we all got to know a little bit about each other before we hit the dust together. Without doubt this made our shared experience in the Heroes & Super Villains camp all the more special. “Once Upon a Time” is the film I made about my transformation and below is the mash up film of all the videos that Lea and I edited together and showed to the camp on our first night in the desert. Here are my photos on Flickr of Burning Man 2012 – truly a once in a lifetime experience. I’m excited to announce that Out & About will be one of three featured campaign ideas in the Project Wild Thing documentary. All the ideas generated during the Good For Nothing weekend in July 2012 were tested in focus groups by the Green Lions production team. Rather amazingly my proposal for a national programme for 0-8 yrs olds, to get them spending more time in nature, was one of the three most popular ideas amongst the public. To develop the proposal for the documentary I developed an info card to be inserted into mother and baby Bounty Packs when they leave hospital. Chris Wilson of Scriberia brilliantly illustrated my card design, as you can see above. Working with director David Bond’s friend Dr. DJ Brown we are now trying to develop a medical trial of the cards in the NHS to test their effectiveness on new parents behaviour.